You may receive a notice from your recycling service provider explaining that the cost for your curbside recycling service will be increasing. The Kent County Department of Public Works (DPW) has operated the Kent County Recycling & Education Center for 25 years. 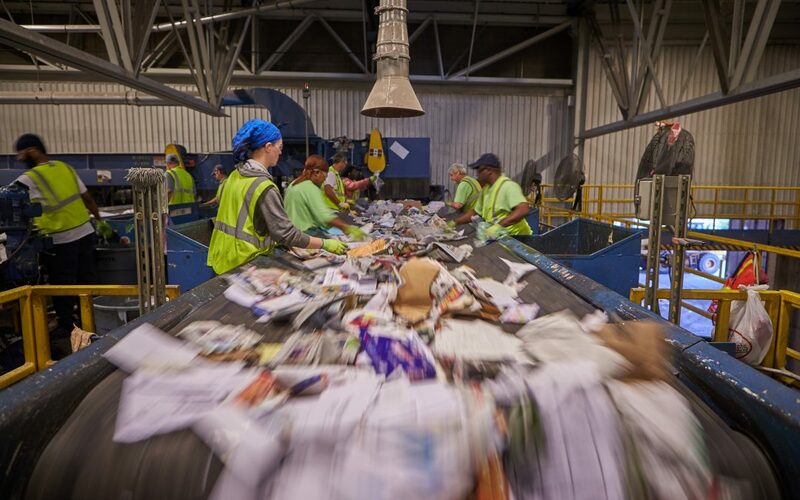 The Center utilizes a complex system of conveyor belts, magnets, separators and 25 people to process nearly 35,000 tons of recyclable material each year that would otherwise end up in a landfill or waste to energy facility. There are two sources of revenue that help keep the cost of recycling down and pay for operational expenses at the Center. First, the waste hauler that collects your curbside recycling is charged when they bring materials to the facility to be sorted. Second, Kent County sells the recyclable materials that are processed. Due to declining global commodity prices for recyclables, the DPW must raise the service fee for accepting recyclables to ensure the Recycling & Education Center can continue to process recycling for our community. A little over a year ago China stopped accepting nearly all recyclable materials, resulting in an over-supply in the domestic market. Though Kent County does not send recyclable material to foreign markets, this global market shift has resulted in much lower prices for the recyclable materials recovered in West Michigan. In June, the Board of Public Works approved a service fee increase which will go into effect on January 2, 2019. Currently the service fee we charge to waste haulers using our facility is $35 per ton. In January it will increase to $65 per ton. These higher service fees for waste haulers will likely result in an increase in cost for residents for the curbside recycling service. The only way to make up for the lower value we receive for the recyclable material is to raise the service fee that the DPW charges to your waste hauler. During this challenging time, please know that the DPW will do everything we can to keep processing costs as low as possible. You can have confidence that acceptable items are indeed being reused and recycled. The DPW is actively working to develop a market for recycled material that’s closer to home to lessen the impact of fluctuations in global commodity prices. We’re pleased to be able to provide recycling processing services for West Michigan and both appreciate and encourage your continued participation in curbside recycling programs.